Kari is the owner of Balance Studios, which opened in 2006. She holds a B.F.A. In Dance Education from Arizona State University, where she attended on a dance scholarship. She also holds a B.S. in Television Broadcast Production from the University of Tennessee - Knoxville. In addition to dancing with Contemporary Dance Wyoming and other various dance companies, she taught at Dancers' Workshop in Jackson, WY for 6 years. She has also lived and danced in New York City, where she studied and was certified in the Simonson Modern Dance Technique. Kari began practicing Pilates in 1997, when she began having severe back pain as a dancer with scoliosis. She soon after began her certification. She studied at the Pilates Center of New York, as well as with Peak Pilates of Colorado. She is a fully certified Pilates instructor, with certifications from both Peak Pilates and the Pilates Academy International (both Pilates Method Alliance endorsed). She has worked extensively with scoliosis, knee injuries, spinal injuries, joint problems, neurological diseases, and neuromuscular issues. 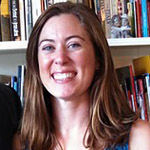 She teaches Pilates in Teton Valley, ID , Jackson Hole, WY, and Kauai, HI. 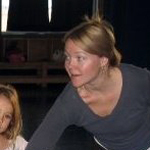 Kari has taught dance and Pilates in Teton Valley, ID and Jackson, WY since 2001. Jen is a Certified Hatha Yoga Instructor and has taught private and group yoga classes in Jackson, WY and in Teton Valley, ID since 2009. A student of yoga since 2003, her yoga background is influenced from the Iyengar and Anusara yoga traditions, thirteen years of dance training, as well as the many years of playing and studying in the outdoors. Jen graduated from the Shambhava School of Yoga's 200-hr Hatha Yoga Teacher Training Program (a Yoga Alliance® Registered Yoga School) in Colorado in October 2009. A true believer in continued education, Jen regularly studies with advanced yoga teachers and has taken workshops with teachers such as Rodney Yee, Noah Mazé, Desirée Rum­baugh, and Shiva Rea. She has also completed the Anusara Immersion training program (100 hrs) and Teacher Training Modules 1 and 2 with RYT-500 teacher trainers Cate Stillman, Neesha Zollinger, and Bridget Lyons. View her website.